I have a studio apartment in a luxury building with all amenities, located in the heart of Financial District (Wall St.). The building has a doorman, modern gym, residential lounge with a huge tv, rooftop terrace, and continental breakfast from 6 to 10 every day except weekends. The building is located less than 5 minutes walk (two short blocks) from subway stations (trains 2, 3, 4, 5, j, z). 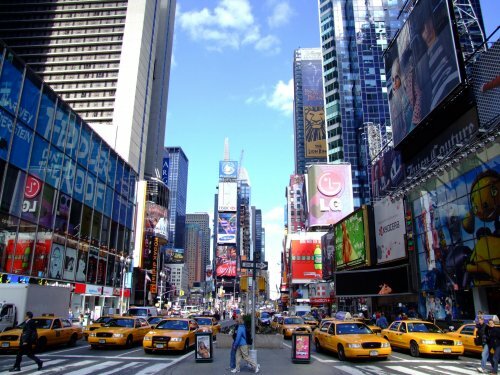 It is in the downtown Manhattan and very close to all city's attractions and nightlife. 5 min walk to NY Stock Exchange, to Wall St. famous bull, Pier 17, Ground Zero, 10 min walk to Statute of Liberty ferry, Battery Park, Brooklyn Bridge. There are plenty of restaurants, bars, shops and all imaginable city infrastructure. Hey, I'm an attorney living in New York. I love to travel and experience new things. Very respectful and courteous.